Want to watch your own assets? Receive an alert in case of intruders?….all from the Cloud anywhere in the world? Don’t worry if the storm knocks out power; operate the software in an instant from anywhere else in the world via the cloud. Add any site regardless of where it is located. Easily connect to our cloud or managed surveillance solution. 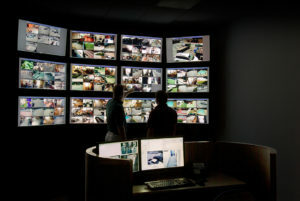 ControlByNet’s ip-LookOUT software is being used by multi-site operators and enterprise businesses to keep an eye on facilities. The surveillance application is simply operated from anywhere in the world via secure connection to the remote servers, whether fully cloud-based or on a managed server at the customer’s site. ip-LookOUT 1) allows full viewing of ALL security cameras with sites listed out individually 2) shows all motion events 3) allows playback of the previous 50 recorded surveillance videos 4) allows a guard/concierge to temporarily override security cameras, or an entire property, in case of special events 5) shows the status of all security cameras beside the site listing for quick knowledge of offline or overridden cameras and 6) allows any security camera to be moved via single click to a large display monitor of the user’s choice. Surveillance video from the security cameras can be accessed, monitored and managed from the cloud -anywhere, anytime, on any device.